All prices are inclusive of delivery on the UK mainland. All prices assume exemption from Road Fund Licence and VAT. Bristol Street Versa reserves the right to alter or modify specification at any time without prior notice. Additional seating and/or wheelchair positions available within the range. Please enquire for details. The beauty of the Volkswagen Caravelle is its versatility made possible by the innovative rail-mounted seating from Volkswagen that lets you create a perfect layout for your passengers. The vehicle comes with two longitudinally adjustable, swivelling and removable seats with ISOFIX child seat mounting points and then the choice of either a three-seat rear bench with ISOFIX mounting points on the outer two seats, or two more individual seats with armrests and ISOFIX mountings. Both options also come with a neat multi-functional table as standard. Shown here are four of the more popular layouts in the short wheelbase vehicle. 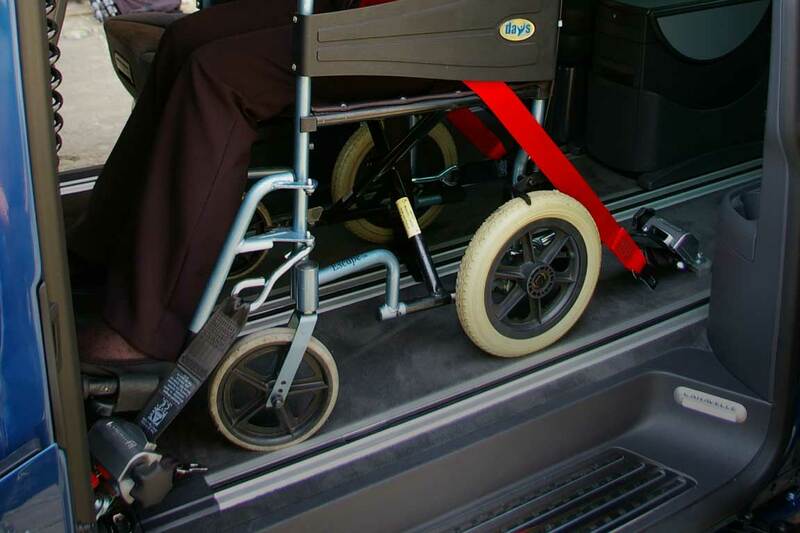 There are alternative layouts available, including provision for two wheelchair occupants, which our Sales Executives would be happy to discuss with you. We also offer the long wheelbase variant of the Volkswagen Caravelle to give our customers total freedom of choice.